Welcome to my monthly Birchbox unboxing! In this unboxing we will look at what I received in my January Birchbox, what I liked, what I didn’t like and overall, if I thought it was good value for money. 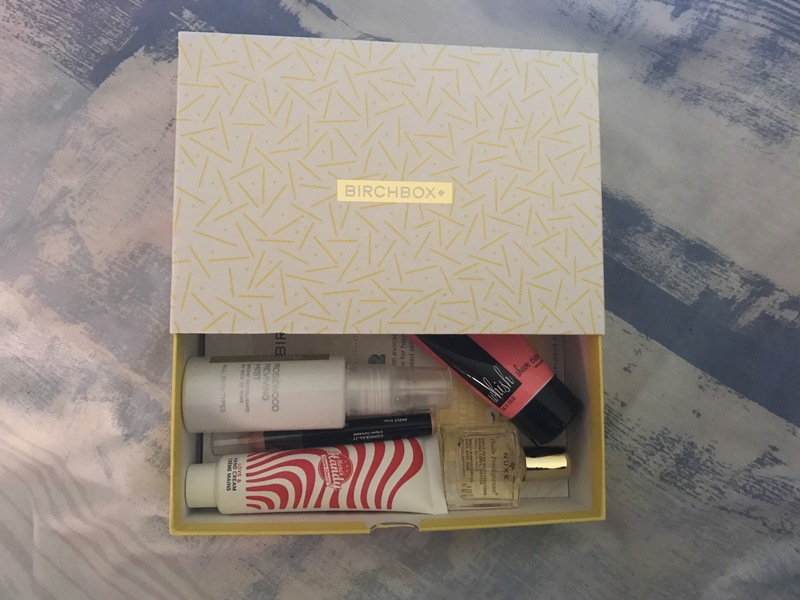 January’s Birchbox had the theme of ‘Sprinkle some Happiness’. It came in a really cute, bright yellow box and was filled with quite a lot of pamper products. To see what I got, just keep reading! Full size? No, but a really decent sample for a spray. What Birchbox say: You’ll be seeing the world through rose-tinted glasses thanks to this skin-rejuvenating blend of soothing rosewood, brightening lemon, and nourishing sandalwood. My thoughts: I like this spray. It’s incredibly refreshing, although may not necessarily be the time of year for a product like this. This is the kind of thing I would use in the Summer to cool me down when I’m out of the house. However, it does state that you can put this on before make-up as a kind of primer and after make up as a setting spray. I can’t speak for that as I haven’t tried it yet, but I’ll definitely give it a go and let you know. I’m cautious because it is a more ‘wet’ product and fear it won’t mix well with my non-waterproof make-up. The rose smell in this product is quite strong which, personally, I don’t mind, but if you’re sensitive to smells you might not like this product. All in all, it’s pretty nice. Time will tell if it will be a product I would use more often. Full size? No, but a nice size to use a few times, will give you a decent idea of whether you like the product or not. What Birchbox say: For a close shave without stripping your legs of moisture, this non-foaming formula is packed with kind-to-skin ingredients like shea butter and coconut oil to nourish and protect against irritation. My thoughts: As I said, this is a pretty decent sample size to give me an idea as to whether I like the product or not. I have been wanting to try a Whish product for a while now, so I was happy to see this in the box. In terms of scent, I didn’t get an incredibly strong scent off it, but that doesn’t bother me. What does concern me is the fact that it’s quite thick and like a cream. My initial thoughts would be that it might clog up in my razor and make it difficult to shave. I would be more inclined to use moisturising products with shea butter after I’ve shaved to help my legs recover, rather than putting them on and basically shaving them off again. However, I’ve not tried this product yet so I will definitely give it a go and come back with my thoughts then. What Birchbox say: Winter often equals dry hands, so make sure you show them some love with this sweet-smelling lotion. It’s packed with tiny pearls and nourishing extracts to pamper and soothe. 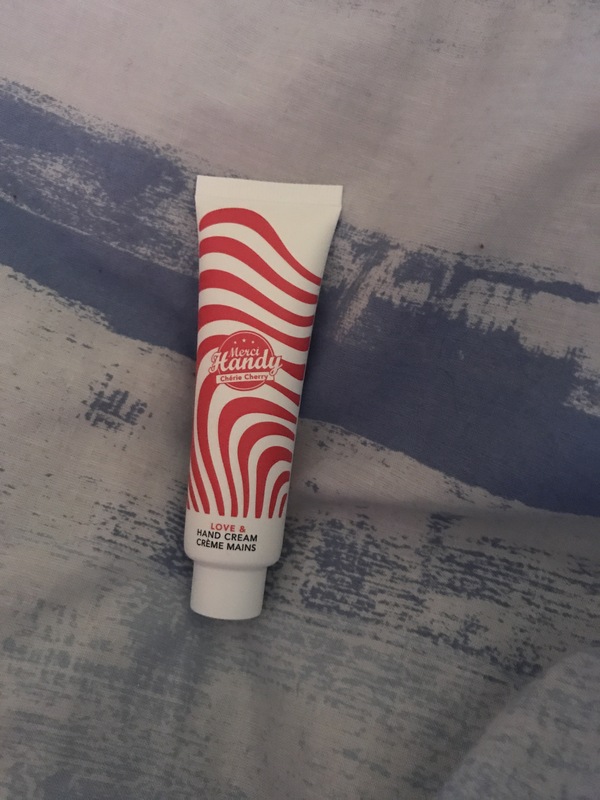 My thoughts: I do quite enjoy this hand cream. I’m happy I got cherry as it’s probably the scent I would have picked out myself in a shop. I think the packaging is really cute and unique, and I definitely would have been drawn to this had I been looking around in a store. In terms of the cream, it’s got a nice fragrance and it’s not too heavily scented or offensive. The cream does take a little bit longer than some others to dry, but it does dry down without leaving a greasy residue and leaves the hands feeling healthier and more moisturised. It doesn’t need a huge amount with each use, so for £5 would last a nice amount of time. Perfect size for carrying around in my handbag. Full size? No, but for an oil there is enough in it to try it out. You wouldn’t get a lot of uses out of it however, I think the sample could have been a little more generous. My thoughts: I’m going to be pretty honest with this in saying that I probably won’t have a full review for this product. 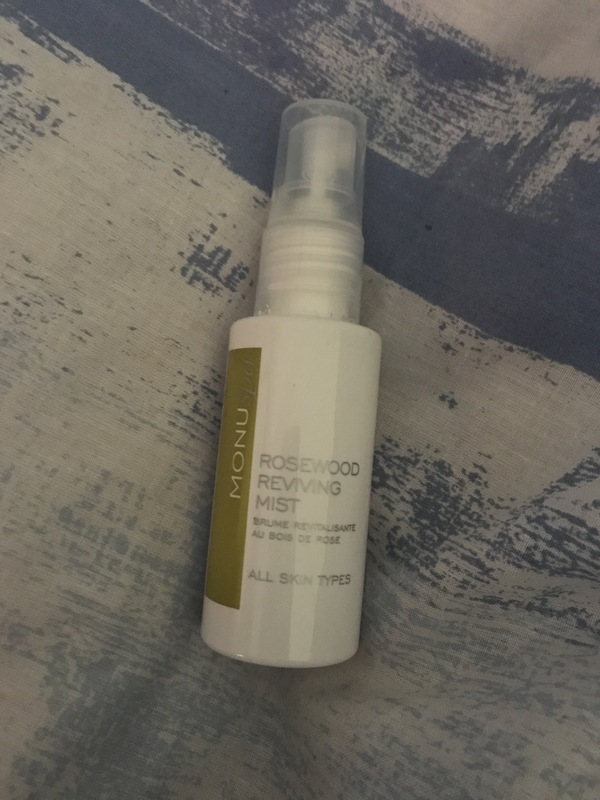 I received a sample of this late last year in a Glossybox and then I received a full size of this in my Marks & Spencer beauty calendar. I have incredibly oily skin and really oily hair, so the idea of putting an oil anywhere near my skin really puts me off. 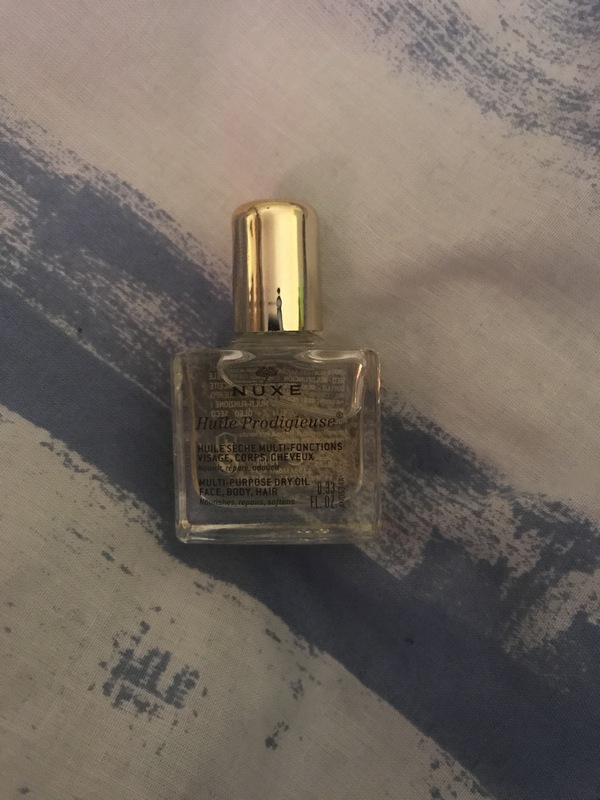 I did put a little of this on my arms just to see how quickly it sank it, but it left a lasting oily residue which I wasn’t a huge fan of. This will be a product I’ll be passing on to a friend, but I still think it’s a great product for others to try out who may not have the same skin issues as me. 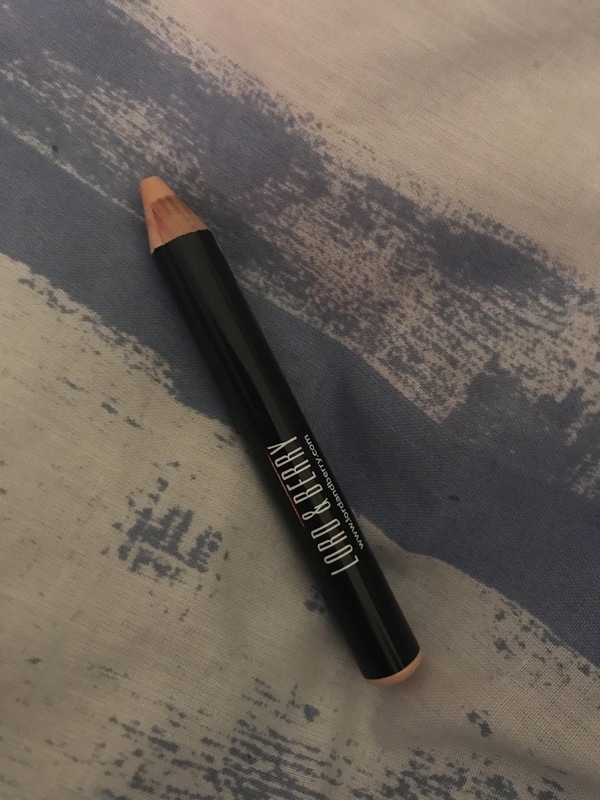 What Birchbox says: Way more than just a concealer, this creamy pencil not only disguises imperfections but it’s also great t highlighting areas that you want to show off – think beneath brow bones or your cupid’s bow. 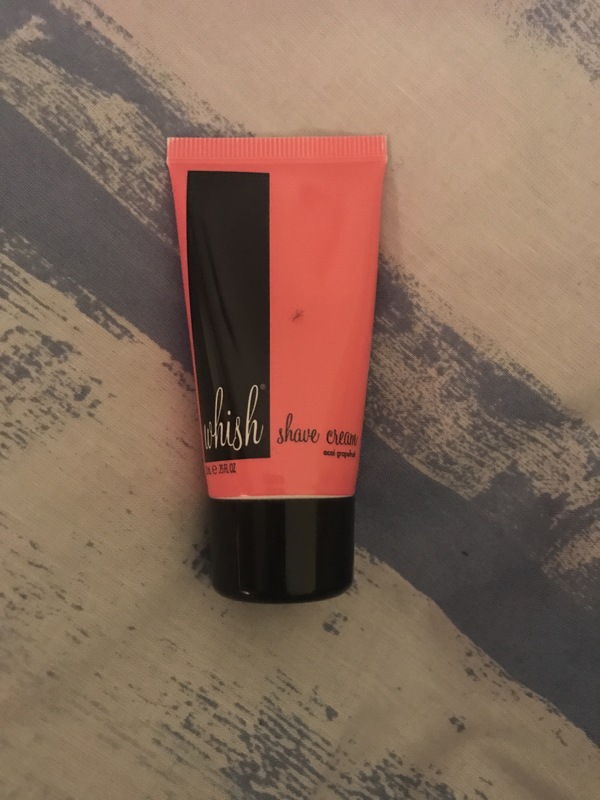 My thoughts: This wasn’t the correct shade for me, so I can’t speak of it in terms of colour match, but I still gave this a go for the sake of the review. I was originally introduced to Lord & Berry through Birchbox after receiving one of their lip crayons, and I’ve gone on to buy from their brand since. I had wanted to try this out, so I’m really glad I received it to give it a go. For £12, I think this is fantastic value for money as it would last a great amount of time. Alongside that, because it’s in pencil form, I would be inclined to think it wouldn’t go ‘off’ as quickly, it’s more hygenic too. This went on the skin quite easily and blended really easily as well. I think I’ll definitely be buying this in my shade to try out, so look out for a full review on that! In terms of this stick, I can use it easily as an eyeshadow base, so no loss there! So that’s us for our January Birchbox wrap up! Again, I really feel like I got my value for money in this box. There’s only one product I personally wouldn’t use, and for what is essentially a gamble sometimes, I think that’s really good. The whole point of these boxes is to try new brands and new products, so I’m really happy with that outcome. I have found so many new products through Birchbox and as long as they keep to this standard, I’ll keep buying! Happy once again. Thanks for reading, if you have any questions, give me a buzz! Also, what did you get in your Birchbox this month? Let me know!